December again, and it’s time to compile my best of 2015 reading list. Want to know what life was like in a Siberian prison camp? … read this. Human nature at its best and its worst. Sentencing to a Siberian prison camp must have come as a terrible blow to Dostoevsky, but this book–a gift to the world–is the result. This House of Grief: Helen Garner. This emotionally wrenching non-fiction book gives the reader an insider look at the Farquharson case in which a divorced man was accused of murdering his three sons. While this is the story of the trial, Helen Garner gives us so much more than this–an eyewitness account but also the torturous cost of the trial on those involved. Again–the best and worst of human nature. 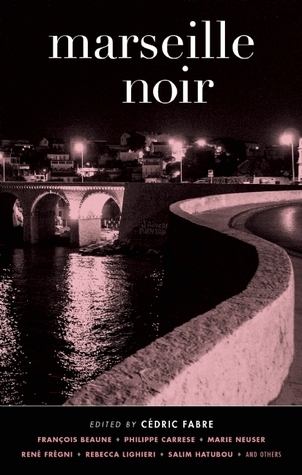 I want to read Joe Cinque’s Consolation, but after reading This House of Grief, I think it’s best to put some distance between the two books. I enjoyed Swierczynski’s fantastic Charlie Hardie trilogy, so I was eager to see what he’d achieved with Canary— the story of how a college student gets in over her head when she’s roped in by the police as a ‘confidential informer.’ This is a topical subject and with his usual wizardry Swierczynski creates a formidable, unforgettable heroine in a tale which has many surprises. This moody, hard-hitting tale of corruption involves a lone cop who goes rogue while following a violent path for revenge. Read the book. See the film. Gloria Grahame…. enough said. 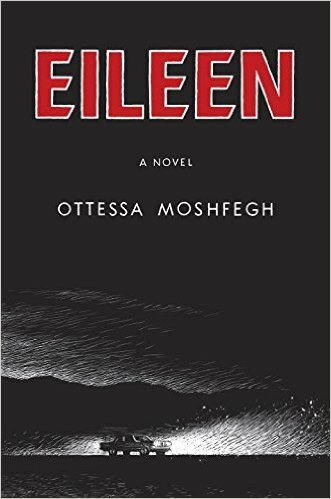 Eileen was one of the most interesting fiction books I read this year. Not sure what I expected with this one, but someone did a great job with the cover design which drew me to the book in the first place. This is the story of a strange, disconnected young woman who works at a local prison as an office worker. With a horrible home life and no social life whatsoever, something has to give for Eileen, and just what sets her free is the substance of this marvelous, dark tale. Isobel on the Way to the Corner Shop: Amy Witting. A sequel to I for Isobel, Isobel on the Way to the Corner Shop is set in a TB sanitorium, and Isobel, ill, stuck in bed, is forced to interact with people she likes as well as those she dislikes. This is a heroine we cheer for as she finds a place for herself in an institution, and receives more kindness from strangers than she ever received from her family. People who’ve never been given love, aren’t sure how to receive it, and Witting knows just how to create this on paper. Read both novels. A Pleasure and a Calling: Phil Hogan. Regular readers of this blog know that I have a fondness for unreliable narrators. Phil Hogan’s novel is told by a middle-aged, successful estate agent– trustworthy, respectable, reliable… but is he?… cross this man and your life will suddenly take a turn for the worse. Wickedly funny and dark, this book is nothing less than creepily delightful. I read two Elizabeth Taylor novels this year, both from NYRBs–A Game of Hide and Seek and A View of the Harbour. A View of the Harbour, IMO, was the better novel. Perhaps the seaside setting helped, but overall, I found the characters in A View of the Harbour much more interesting. A punchy trilogy… but wait… Now there’s Every Night I dream of Hell which includes some of the same characters. Will we see this series extended? Gun Street Girl: Adrian McKinty. Sean Duffy struggles with an open-and-shut case which reeks of a staged crime. 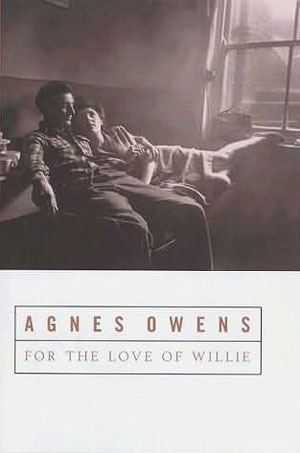 I’m a long-term fan of the criminally under-appreciated Scottish author Agnes Owens; she hasn’t written a great deal but if you pick a book by Owen, you can’t go wrong. For the Love of Willie is narrated by a woman who lives in a mental hospital, and regular readers of this blog know that I have a fondness for this type of setting. Draw your own conclusions. Vertigo: Pierre Boileau & Thomas Narejac. This two writers, working as a collaborative team, wrote crime with the idea that the ‘nightmare would never end’ for the protagonist. 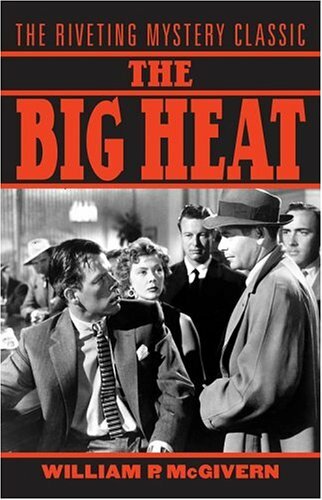 Most of us have seen the Hitchcok film made from the book, but there are many differences, so crime fans shouldn’t miss this. This is one of the titles in the very impressive, new Pushkin Press Vertigo line. I don’t normally go for books featuring children, but I’ll read anything Gert Loveday writes. 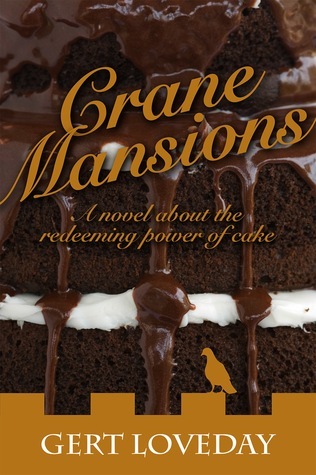 This mischievous tale involves a child who ends up at Crane Mansions, Regulatory School for the Indigent. If you think this sounds like a horrible place, you’d be right, but this very funny tale subverts all reader expectations. Birds of the Air: Alice Thomas Ellis. I never tire of this book. A wonderful story of grief, secrets and family relationships. 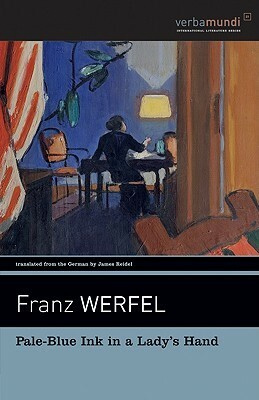 Pale Blue Ink in a Lady’s Hand: Franz Werfel. The story of a successful bureaucrat who is forced to revisit the sins of his past. Marseille Noir . Crime stories which give the flavor of this city. I moved from watching the French-Belgian film The Connection to reading about crime in Marseille. Review to follow.